Jeffrey A. Kosterich, LLC is a leading provider of real estate legal services, supplying thorough and professional case management, superior service delivery and a dedication to excellence in client support. 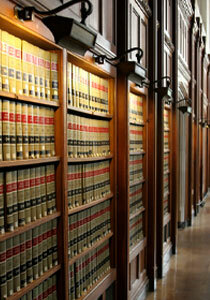 The firm has a diverse and sophisticated real estate practice. We assist lenders who are faced with real estate issues arising from their normal business operations, and corporate clients with general real estate needs.The firm specializes in lender representation in all phases of foreclosure procedures in New York State. Over the past twenty-five years, Jeffrey A. Kosterich, LLC has earned the trust of many of the largest lenders in the New York real estate market who have hired the firm because of its legal excellence, proven performance and dedication to client service. Read our latest Whitepaper: General Law Concerning the Pursuit of Deficiency Judgments on Loans Secured by Real Property. Copyright © 2007-2011 Jeffrey A. Kosterich LLC. All rights reserved.